Lunar New Year is fast approaching! 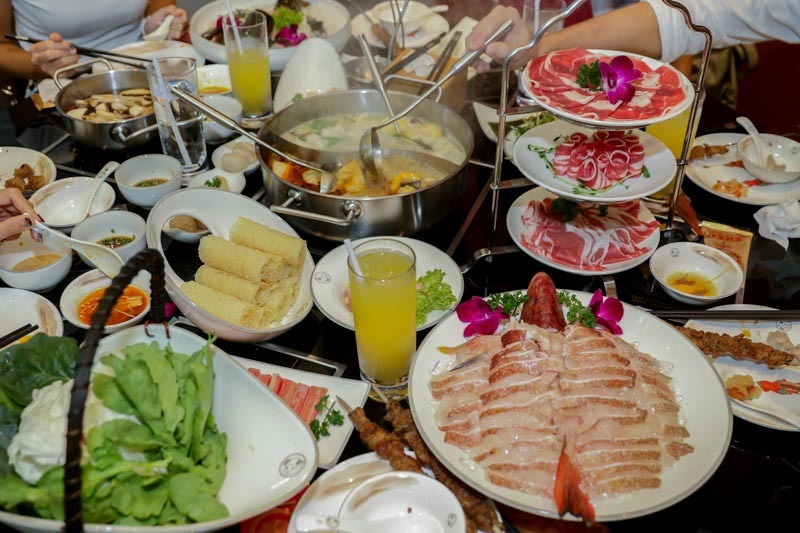 If you are looking for a delicious hot pot restaurant to celebrate with your family and friends, forget the long queues and the waitlist. Be the first to try the newest, popular hot pot chain from China with your loved ones! 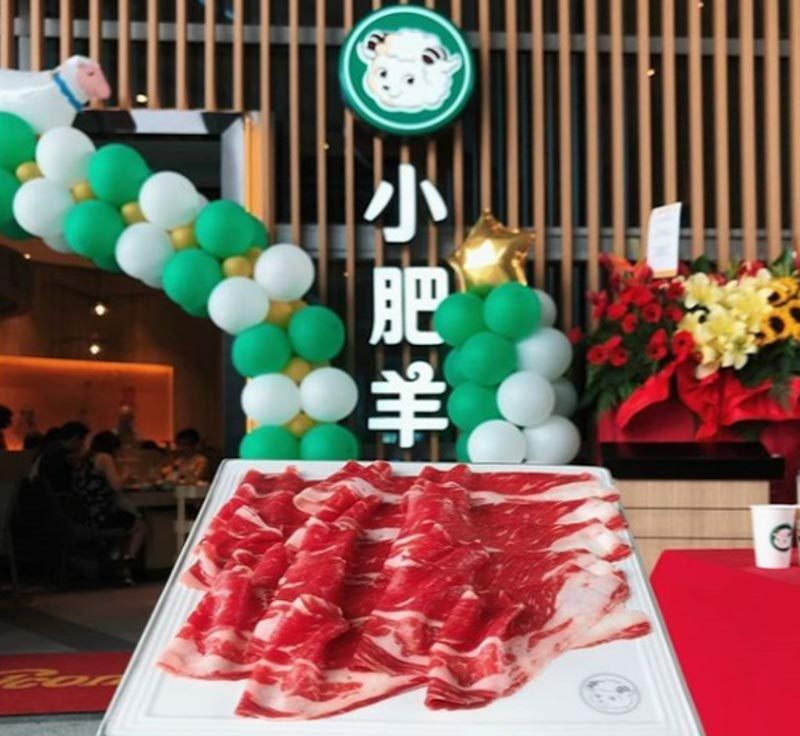 With almost 300 restaurants in more than 120 regions and cities worldwide, Little Sheep Hot Pot (小肥羊) has finally made its way to One Fullerton to satisfy all hot pot lovers. Little Sheep Hot Pot is known for their House Original White Soup base (S$9/small, S$20/large), which includes exotic spices such as star anise from Yulin, Guangxi Province; amomum tsao-ko (ginger-like plant) from Zhuang-miao Autonomous Prefecture of Wenshan, Yunan Province; galangal from Zhanjiang, Guangdong Province and more. A lover of spicy food, I couldn’t resist their mala soup, hence I chose a Half Mala and Half White Soup (S$15/small, S$25/large) base. This allowed me to experience the best of both worlds as the Original White Soup had a light ginseng-like herbal aroma, while the Mala broth had an addictive spicy kick derived from the chilli oil and peppercorn. Not only is Little Sheep Hot Pot popular for its fragrant hot pot base, but it is also notable for their high-quality lamb. So, I ordered the Signature Lamb Rolls (S$9/small, S$18/large), 3-Tier Lamb Platter (S$36), and Signature Lamb Platter (S$26). Since the lamb was thinly sliced, it only took 30 seconds to cook them in the boiling soup. Tender and juicy, the meat did not have an off-putting gamey flavour. As Chinese New Year is arriving, Little Sheep Hot Pot has introduced a special promotion from now till 19 February 2019 for their Black Pork With Yu Sheng at S$42.90 (U.P. S$52.90). 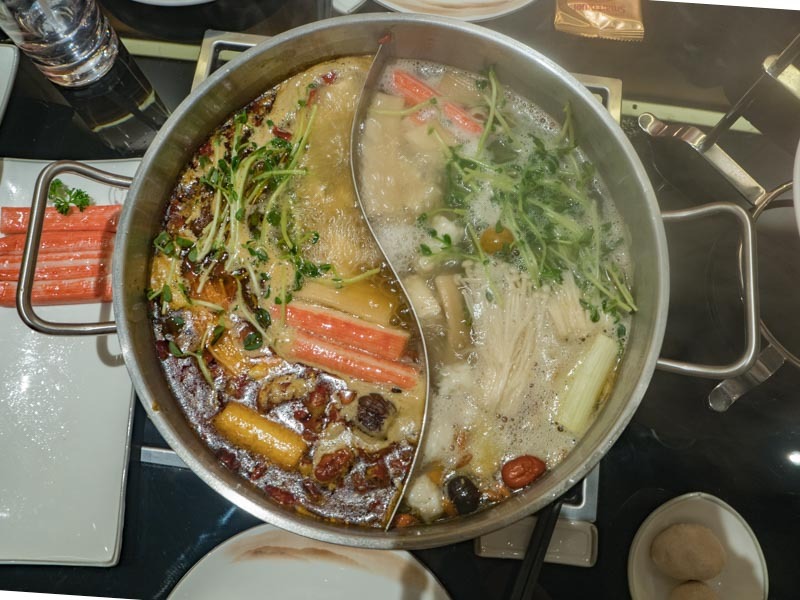 If you have yet to make plans for Chinese New Year, why not give Little Sheep Hot Pot a try? Enjoy a steaming hot steamboat with a view! Little Sheep Hot Pot is the perfect place to unwind with your friends and family over a hearty meal while taking in the amazing views of Marina Bay waterfront.